Another year, another Islay festival bottling. And once again I’m a few months late to the party with an opinion, because the Islay Festival of Music and Malt was months ago. For those of you who don’t know, the Feis Ile bottlings were once a very nice chance for the distilleries of Islay to celebrate what they do with a quirky release outside of the core range – at a very reasonable price – during the island’s week-long, late-May festival. These days the festival provides a huge commercial opportunity to flog whisky at a very unreasonable price, for the most part. Even independent bottlers are joining in with their own releases, despite the fact that they’re not even based on the island. People queue up for ages just to get their hands on the limited edition festival releases that each distillery puts on sale, many of which are on sale as ‘one bottle per person’. Whisky shops consequently send their lackeys to queue up time and time again, re-joining the back of the line with fake moustaches, to be able to grab a boot-load of limited edition festival booze – to flog in their shops back home. Distillery staff try to stop this practice by threatening to birch offenders to within an inch of their lives, but that doesn’t stop these bottles drifting to the mainland. Naturally, online auctions are full to bursting with festival bottlings the very next week. So anyone, anywhere, can get one. You no longer have to visit the island. This is no longer about celebrating anything – apart from human exuberance in throwing away money and time like a gleeful idiot. The whole thing is now an unstoppable circus. But we all love it anyway because: whisky. One distillery where there probably isn’t ever much of a queue – for reasons I’ll never quite understand – is Caol Ila. It’s actually been a while since I’ve reviewed much from Caol Ila, which I think is one of the most underrated distilleries in Scotland, let alone on Islay. It’s probably overlooked because of its neighbour Lagavulin’s very good reputation and similar style (peated, mostly, and both owned by Diageo); and even though Lagavulin is a distillery I admire, I don’t quite understand the fervent mentality of its superfans. Onto today’s business. 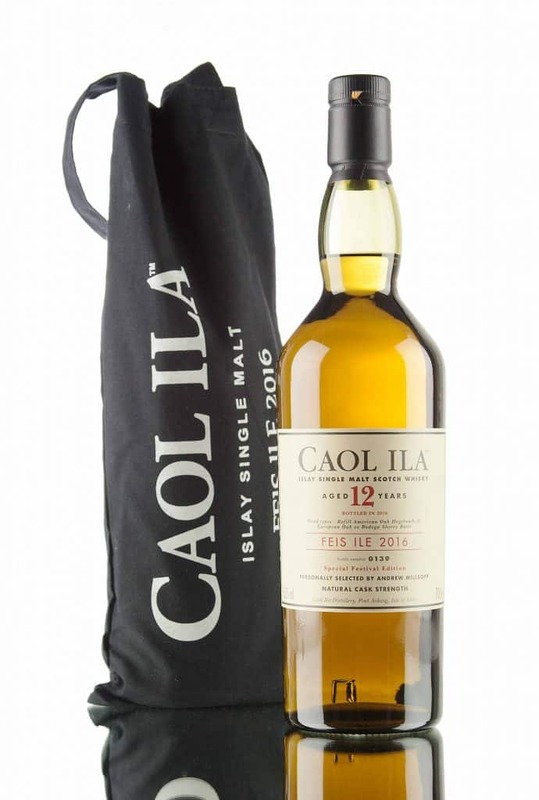 I’ve already found the best whisky that Caol Ila has released, which is the Feis Ile 2013 edition, but since then I’ve struggled to find an offering that reaches such perfection. The Caol Ila Feis Ile Release 2016 was selected by Andrew Millsopp, who is group manager for Port Ellen maltings, Caol Ila and Lagavulin. The whisky is 12 years old, and has been aged in a mix of refill American hogsheads and European ex-Bodega sherry butts. Only 1,500 bottles were released. On the nose: very nice contrast of sweet and ashy notes, a classic Caol Ila quality. That peat is really pleasant. Brine. Flashes of citrus. Sour cream. Takes a while for the fruity characters to manifest: grapefruits, pears, stewed apples. Unusually simple for the distillery. In the mouth: simple, but nice. A well-balanced contrast of peaty smoke, which isn’t as ashy as the nose suggested. Lapsang souchong. Vanilla. Pears in golden syrup. Digestive biscuits. Lemon drizzle cake. A lingering bit of wood spice on the finish – and with the kind of sourness one gets from having eaten Stilton cheese. A medium weight texture, but lacks some of the roundness and finesse that Caol Ila can achieve. 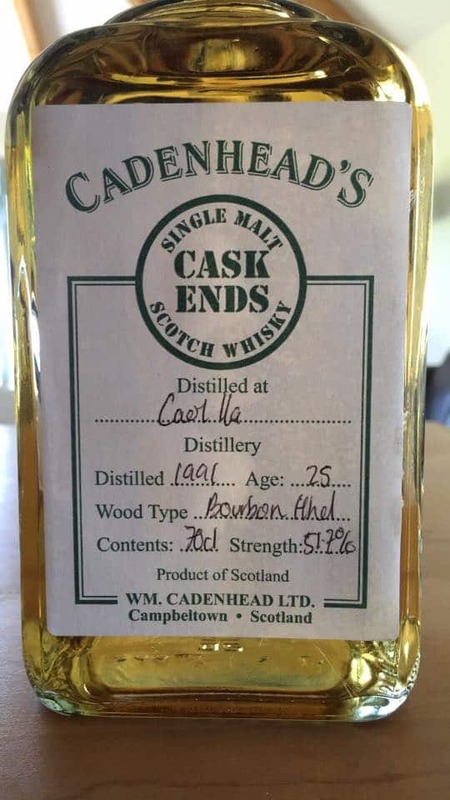 Given that was a bit of a disappointment, I just poured a dram of this ‘cask end’ (think bin end) from Malt favourite Cadenhead’s: 51.7% ABV, matured in a bourbon hogshead, #732. Colour: old gold, so quite pale for the age. Second fill cask? On the nose: beautiful aromas. It shares a lot with the festival whisky, except this feels more complex and stately; a Range Rover versus a Toyota RAV4. Sweet peat and ash, the classic Caol Ila trait, is very much there. Green tea or Lady Grey perhaps. Quite floral, the perfume of old roses. Vanilla and toffee. Quite buttery and creamy, in fact. Like some clotted cream fudge. Changes later in the glass to reveal baked apples, pears, Parma Violets, more citrus. In the mouth: that is brilliant. A perfect balance – though intense, not exactly delicate – between the sweetness of the peat and any bitterness in the wood and that trace of ash. Not a thick texture, but not lightweight either. Vanilla custard. Clotted cream. A little bit of cork or pencils, if you chew on the end. Victoria sponge, with a curious quality of strawberry jam. Grapefruit. A very warming pepper and ginger finish. There’s something wonderful about how all of this meshes together, and showcases the quality of Caol Ila’s spirit. A properly classic old-fashioned Caol Ila. Utterly fabulous at this time of year. Cask end? They have these lying around? That’s how good Cadenhead’s can be. 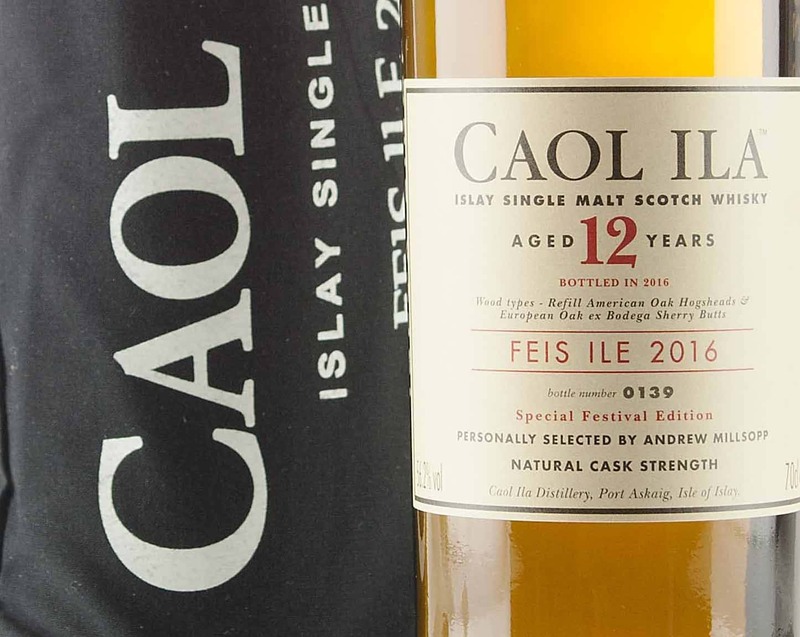 Coming soon to an auction house near you are the 2016 editions of the Feis Ile series. An event where folk overcome all odds to..
We’re back on Islay, unexpectedly it must be noted after rapidly enjoying a day trip and events at Bunnahabhain. So far I’ve clocked off the Feis..